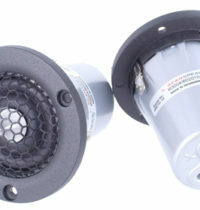 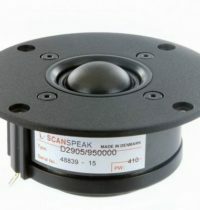 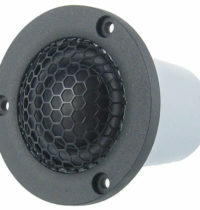 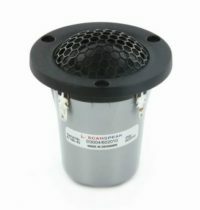 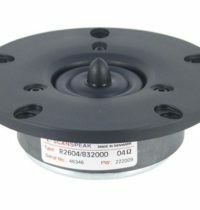 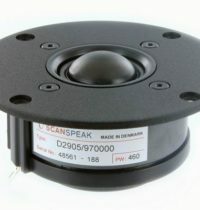 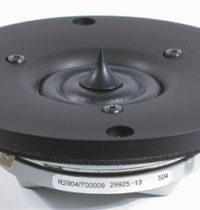 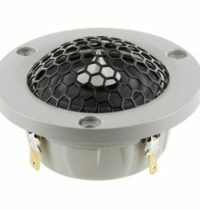 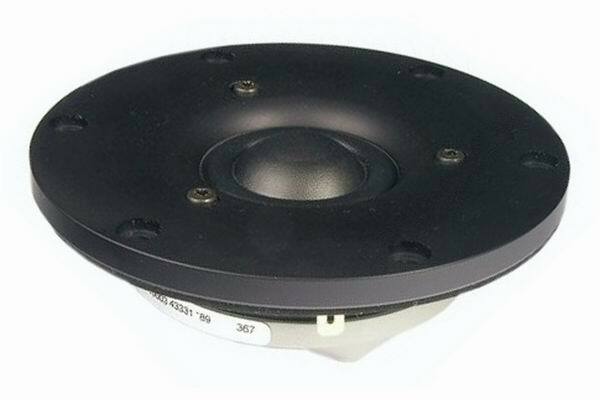 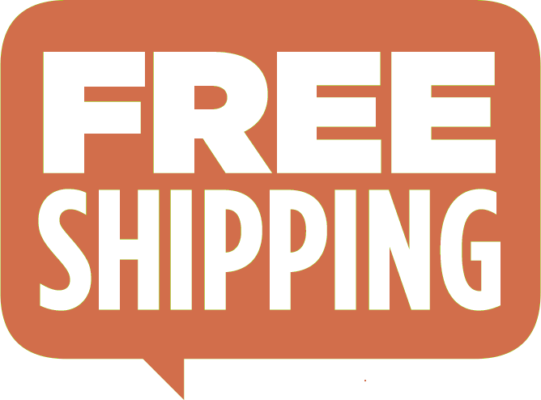 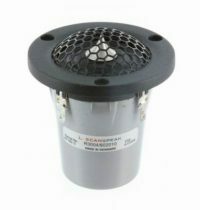 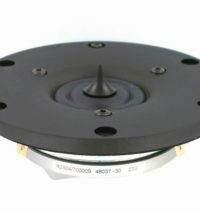 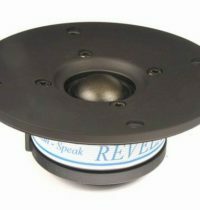 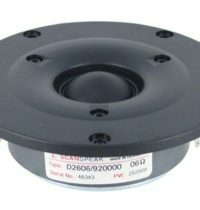 The Scan-speak D2904-710003 tweeter is a 1″ soft dome with wide surround, using the same chambering as the Ring Radiator. 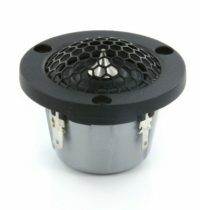 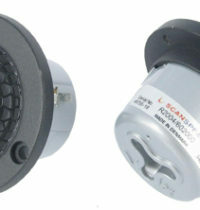 A specially designed venting system uses a needle to cut down on turbulence in the air cavity. 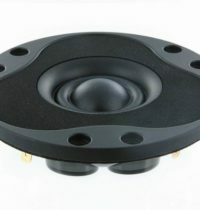 Better dynamics are achieved by not using ferrofluid, voice coil cooling is performed by the venting system and conduction through copper rings. 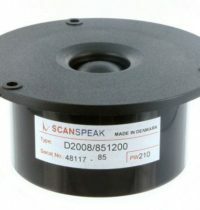 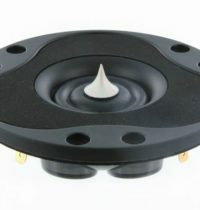 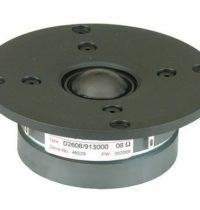 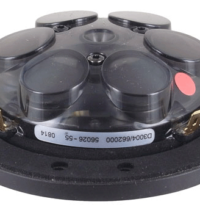 The new SD-2 neodymium magnet system improves transient response.